It’s Valentine’s Day in a couple of days and the love of my life still isn’t talking to me. We had a fight a week ago and I can’t seem to get her to meet me so we can talk things out. Your love life seems to be up and running and they call you the Catalan Hitch. Well, I need some advice! Please answer back!!! Thanks for sending your message! My first piece of advice: shorten the pen-name. Now, I’m going to tell you what to do. Do exactly what I say and don’t forget it for a second. It’s imperative you listen to me and listen well. Don’t ask questions either. Man: You’re excused…And I just have one thing to say to you. Just one thing. Please hear me out. Woman: Fine. I’m opening the door. That didn’t help at all!! In fact, I think it made things worse!! This woman means everything to me! I can’t lose her! Please help me out!! Did you just say “moc, moc”, or did you say “ooohhhhh” before it? If it was the former and not the latter… What the hell, man?! What the hell?! I specifically and emphatically told you to say the “oooooooohhh” before the moc ,moc! You can’t just say one without the other; they come in a pair like Xavi and Iniesta! God, if you can’t follow simple instructions, I see no point in helping you. That woman will probably never talk you again anyway. Puyol: Oye, mano! You got pretty offended there. What happened? Ooooooooh, moc, moc! Pique: He didn’t do it right! It’s all about the execution! Moc, moc isn’t right without the “oooooh”. You can’t just say “I’m missing you”. You’ve got to make it more dramatic, with more longing. Like, “ooooohhhh, I’m missing you”. See? It even feels different! Puyol: Well, there’s always next year! Pique: What do you mean “next year”? I’m gonna take a leaf out of Walter Pandiani’s book and become a life coach! I could totally do it! Oooooooh, moc, moc! Kari, will you be my BFB valentine? Sure, vicsoc! I’ll also be taking over LB duties from you this weekend! Oooooooooohhhhhh we do BFB valentines now? LOL funny post but I was expecting there to be day 2, day 3, etc. Are there supposed to be sequels? I don’t have anything planned at the moment. Maaaaaaybe if I get some kind of inspiration there may be an on-going series, but don’t hold your breath. I had thought of making it longer, but then decided against it; short and sweet is better. Actually, I was expecting to be scarred for the rest of my life. Ek, you owe us all a report about your special field trip on Wednesday. I had to do it. I tried to resist the temptation to write respond immediately after seeing Eklavya’s response, but my willpower just wasn’t strong enough to last forever. Kinda off topic, but I just found out that you can subscribe to barca’s match schedules via google calendar, both in la liga or in the Champion’s league. It’ll list the schedules and convert the time to your local time. I meant, ‘and’ in the champions’s league. WHERE?! HOW?! PLEASE TELL MEEEE!!! Just go to google calendar and login with your google account. On the left tootlebar, under ‘other calendar’, click ‘add’, then ‘browse interesting calendars’. select sports, then football. I just synced the calendar to my phone and added notifications. Now, I can’t miss any games! The Google Calendar is awesome! I’ve had it in there for a year or two. They even carry match schedules and results from less popular leagues. Aargh! That’s two bad news for one day! Would there still be need for moc moc’s if/when cesc comes to the camp nou? Would almost make that price tag worth it! Barcastuff posted a group picture of villa from his days at sporting but i couldnt pick him out. Does this mean that on valentine’s Day we have to end every post with Oooooooh moc moc? I’m threatening to go back to that Sakira avatar…..
You really don’t want to know, Miguel.Trust me. Happened last thread. Everyone should post their Twitter or Tumblr or something. I’d post mine but a lot of my posts aren’t football related at all. Regardless, whats up everyone its Friday! I haven’t the foggiest idea how to tweet. I think I’m too old to tweet. Thank Goodness It’s Friday!!!! F***! ROSE IS THE BEST PLAYER IN NBA HISTORY! Atually, I’m not good enough with my droid to tweet. Statutory Notice: Anyone with a Hleb gravatar is flipping the bird at you.. Just so all the n00bs and lurkers know..
Blitzen had a Puyi avatar literally flipping the bird at everyone ( oops, sorry, just at me). Hey! I demand a repeat of the gravatar war that happened last thread.. I’d ask Jnice but I don’t think fbtz would store highlights.. So I want a recap of who used what pic against whom!! i tried to flare it back up w/a bojan avatar to no avail. You thought I didn’t notice when you Hlebbed me in the last thread, but I did. I did. For now I’m biding my time. Revenge is a dish best served cold. and revenge is always a dish best served with manitas! I almost burst a gut on that one, Miguel. Stannard is priceless. Anyone else nervous about this match in the Molinón? Sporting’s fans always produce a great atmosphere plus they are fighting for their lives in the league. Also, we are coming off an international break and we only beat them 1-0 at home (albeit without Messi). Maybe it’s my natural tendency to be nervous before every match, but I really feel like this will be a touch one. I’m also interested to see whether Pep will have an eye towards the Arsenal match and rest a few players or whether he’ll put out a full strength side. i’m think two full strength sides…may may maybe milito against sporting & a tag team of masch & busi vs arsenal, but otherwise no pussyfooting. definitely busi in the backline for the arsenal match, though. You too?! She told me too that she loved me, albeit in a platon..Oh Wait! We’ve all been bamboozled, Vj. about Sporting—As much as I hate to say it I want to go full strength, witness the power of this fully operational Death Star, mother-of -all lineups on them. Best available 11. I thought maybe Gaby in the back but I’m getting more nervous ( and darn it, I should have more faith in Milito). Mascherano resting Busi shouldn’t be a problem for this game but we really need Busi in there at DM for Arsenal. I think we need to go Alves, Pique, Abidal, Maxwell for Arsenal and that makes me nervous because of Walcott’s speed. Arsenal have their own problems at the back right now and we should have a field day in their third but they could get on the scoreboard as well (and I like my clean sheets). 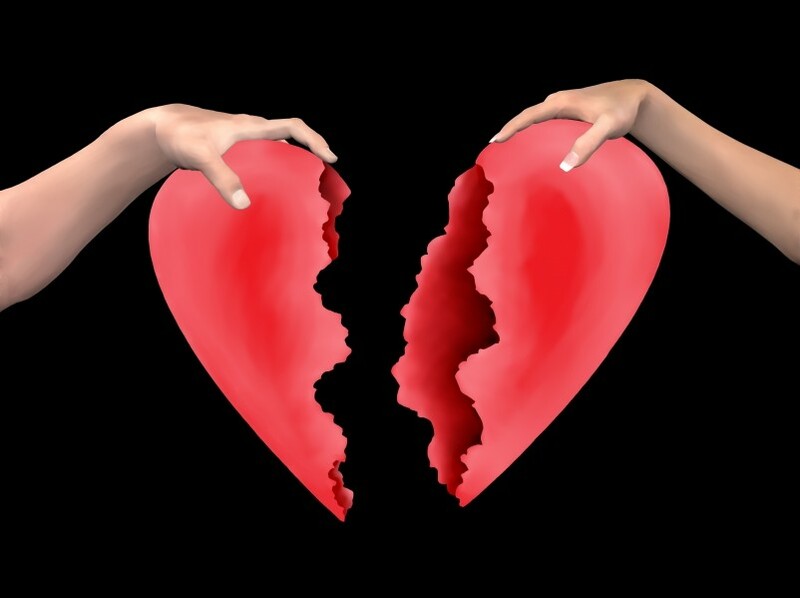 About Kari and velentines, her heart belongs to CT….or was that Leo……or was that Ibi? I wonder what Diego is doing right now…. Milito has to get some time here, because since Puyol has been ruled out, I’m envisioning a back line v Arsenal of Alves/Pique/Milito/Abidal, who has to be on the wing to control him some Walcott. On another note, I just re-watched the second half of the home Copa semi-final leg against Almeria, and remain even more convinced about not wanting or needed Fabregas anytime soon. What a display that dude put on, and it boggles my tiny little brain to imagine that he is only going to improve. I just hope we don’t do anything stupid, like using him as a makeweight in some deal or something. With regards to suggestions that Milito or Busi will play in the backline against Arsenal, I say no way. No way as in Pep sees Abidal as his 3rd center back, which means if either Puyol or Pique is out, Abi steps in. I think we will see Alves/Pique/Abidal/Maxwell against Arsenal for sure. Abidal will be on Maxwell’s side, and I’m sure he’ll be under orders to stay a little deeper and cover for Maxwell in case he gets burned. He’s good at that, anyway. I think you’re right. I just can’t help imagining Maxwell being nicknamed Toast after the match. Possession is going to be crucial. Possession is crucial which is why we need Busi as a DM. He needs to cancel out Cesc much the same as he did Ozil in the clasico and Sneidjer in the WC. OMG!!! I just did a test run of the manita and it worked perfectly the first time! I am holding a beautifully layered blaugrana drink in my hand right now. Not sending a pic yet because I don’t have the garnish, but I promise it will be perfected by tomorrow. Oh, and it tastes good, too. Still smiling about the Mascherano cherries! Negotiating with Puyol to be incorporated into Pique’s computer? if that’s a translation it might be “team” or “side” instead of “computer”. Translation engines often get those confused.